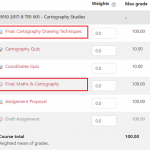 If you have a number of quizzes and assignments then you may want to present students with grade totals that more accurately reflect the formative and summative activities in your module. This involves creating two grade categories which we will call summative and formative. 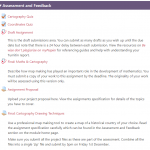 You can create any categories you like as shown in this post where the Global Online modules have organised their Gradebook into Progress Tests and Final Assessment. 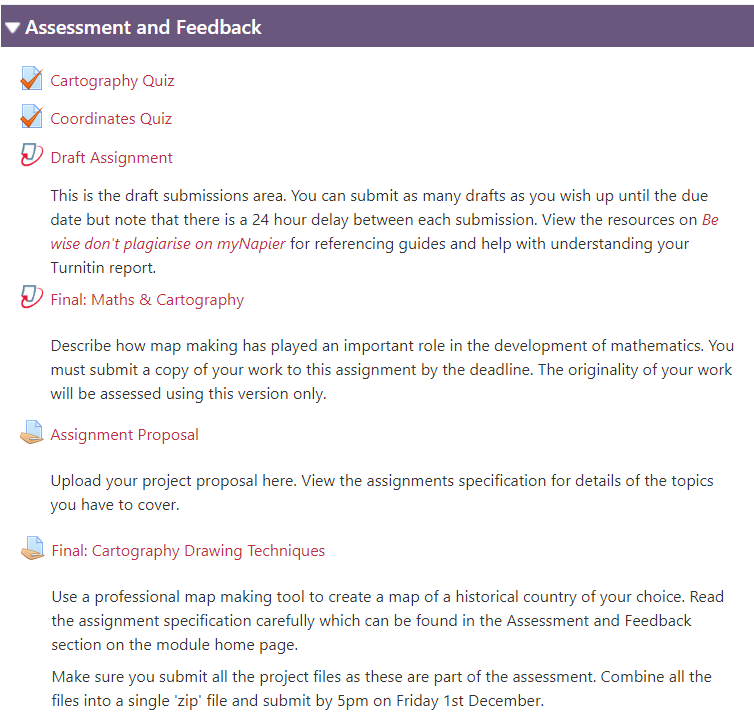 two Moodle assignments; a draft project proposal and the final project submission (worth 50%). 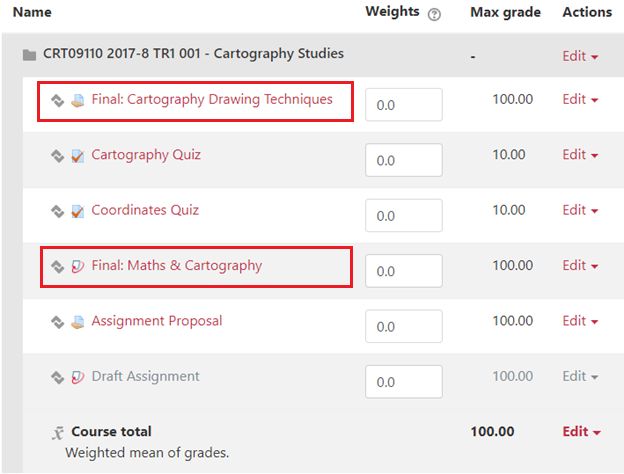 So we’ll create the two categories and apply the assignment weightings to make the course totals easier for students to understand. 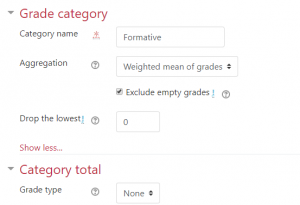 From your Gradebook select Gradebook setup from the drop menu. All six items are presented in a list. The highlighted items are the two summative activities and we’ll create a summative category in which to place them. We will also create a formative category to place the other four items. Look for the Add category button at the foot of the Gradebook setup page. 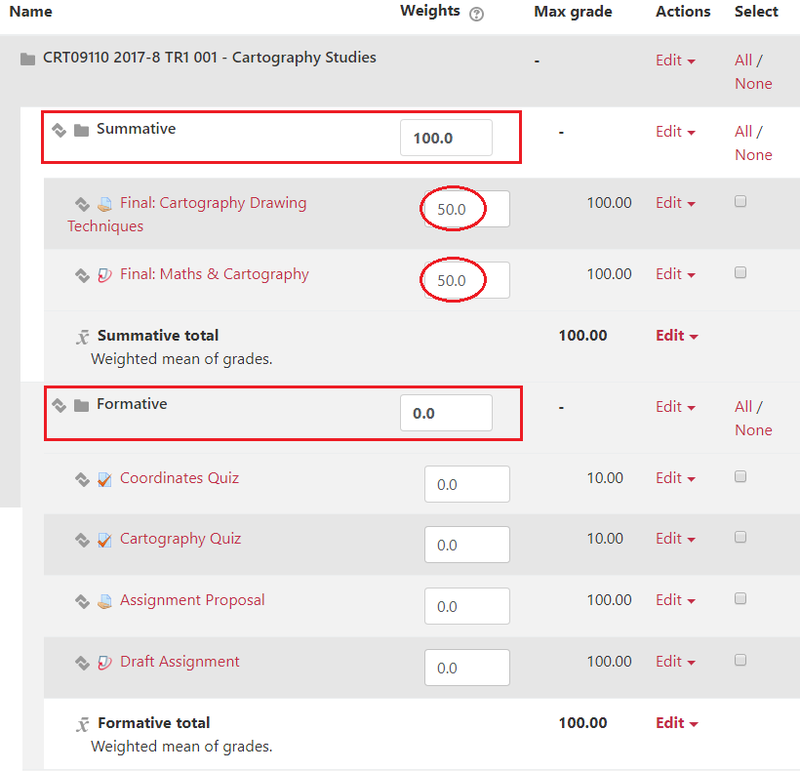 Set the Aggregation to ‘weighted mean of grades’ for the summative category. Repeat this for the formative category but set the Category total to ‘none’ since we don’t want the scores from the formative activities to count towards the course total. 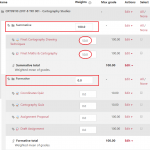 Back in the Gradebook setup page we can add the weightings for the two summative activities (circled). 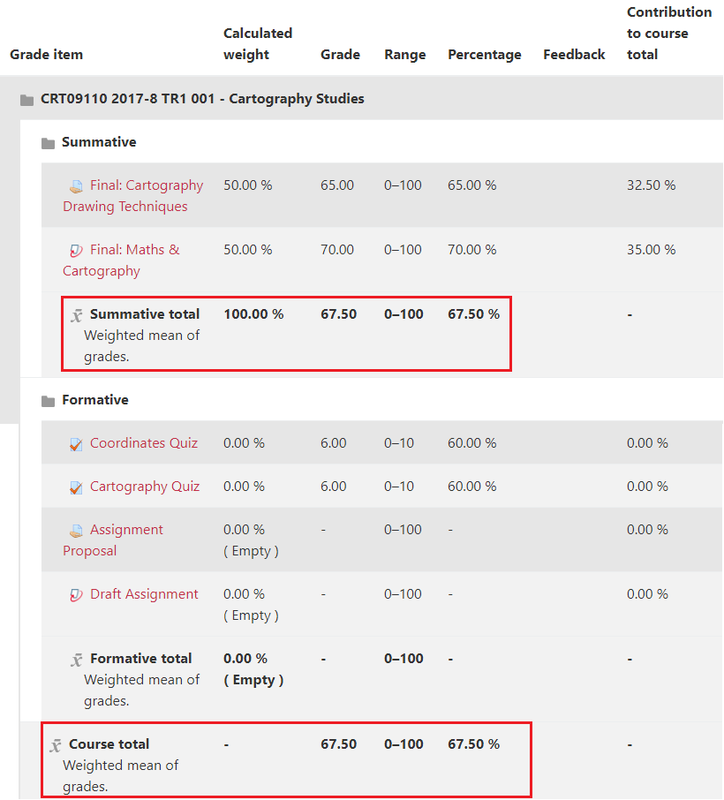 Note that the summative category is 100% of the course total, and the formative category is 0%. The Gradebook is now presenting students with the summative and formative activities correctly contributing towards the course total.